The Faculty of Science and Technology maintains and utilises several world-class teaching and research laboratories and project spaces that cover Biomedical Science, Environmental Science, Forensics, Information Technology, Network Engineering, and Robotics. 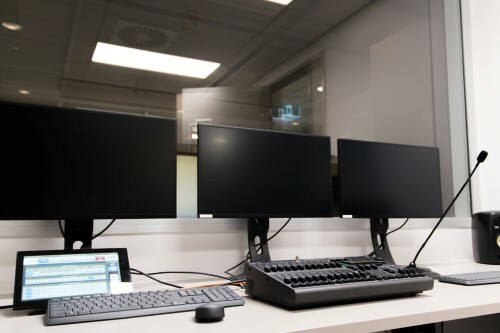 Our facilities are used in collaboration with our partners from industry, government and community groups, such as the Australian Federal Police, Questacon, DArT and Tactical Research. They also form a core plank in our commercialisation activities, for example EpiAxis Therapeutics. We welcome further partners to collaborate with us and to use our state of the art facilities. 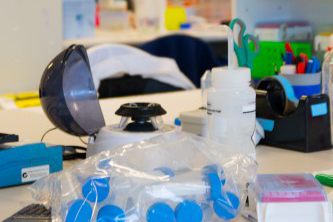 The Centre for Research in Therapeutic Solutions (CResTS) is a group of active biomedical researchers investigating questions of significant medical importance. Some of the questions currently being explored are – what is the biochemical nature of heart failure? How can we cure myopia? What causes severe asthma? How can we empower personal health management? How do viruses kill? Our researchers are supported by extensive specialist infrastructure, including high end sequencing capability (Applied Biosystems ViiA8), live and fixed cell confocal imaging (Nikon Ti Eclipse), physiological/biochemical analysis at the molecular level (Warner single channel lipid bilayer electrophysiolgy workstation), virus tissue culture, high end chiral separation (micro-HPLC) in addition to general cell biology, molecular biology, biochemistry, analytical chemistry capabilities. A state of the art, up to date medical research facility is currently under construction. This new laboratory and office space is designed to meet current research needs of University academics but also to be future ready, with flexible internal design and capacity for extension and adaptation to new uses. 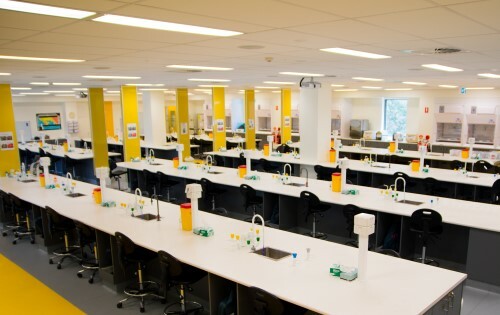 The laboratories are designed to service bench experiments (PC1 and PC2) as well as handling of animal and clinical samples, enabling complete research project support from discovery to application. The Cosmogenics Facility is a purpose built facility equipped with a robotic Vulcan 84 automated sample preparation system that enables acid digestion of solid and liquid samples. 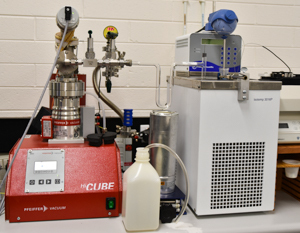 The Cosmogenics Facility enables research into cosmogenic nuclide dating of geological samples, general analysis of environmental soil and sediment, complementing the Ecochemistry Laboratory, and fatty acid analysis of fish and macroinvertebrates. The Human-Centred Technology Research Centre operates advanced servers and GPUs for high-computational load research. These include servers with 256GB RAM, 64TB hard disk space and Nvidia GPUs such as the K80 or Titan Xp. 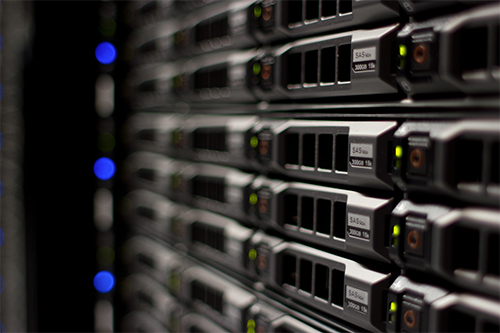 The HCT Research Centre also operates a dedicated research data storage server with a current capacity of 200TB. The Ecochemistry Laboratory is a highly specialized laboratory undertaking analysis of chemical species in biological tissues, waters and sediments from aquatic ecosystems. 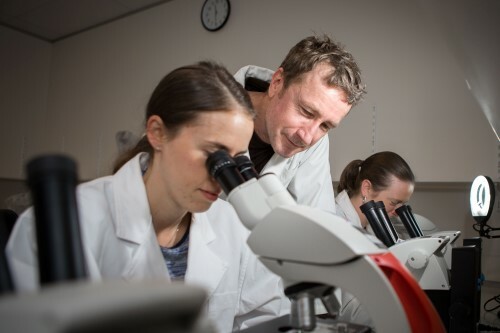 The Laboratory is the only facility in Australia that is able to undertake chemical speciation analysis in water, sediments, soil, animal and plant tissues. The Engineering Laboratory is where our specialist units in Computer Engineering, Network Engineering, and Physics are taught. It is equipped with various instrumentation such as oscilloscopes, and PC's set up for working with Raspberry Pi's and Arduino units. Our Network Engineering Workshop is a dedicated space for Student Project work, specifically our BENSE students. 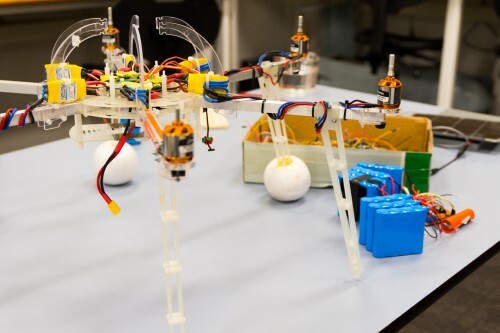 This gives these students a space to work with all manner of equipment and supports our work with Drones, WiFi Networks, and Sensor equipment. The environmental research precinct contains animal holding facilities, aquatic research mesocosms and flumes, and dedicated glasshouse space (see detail below) for botanical studies. The National Centre for Forensic Studies (NCSF) is a combined teaching and research facility. It consists of chemical analysis, microscopy and DNA amplification suites and an evidence room. 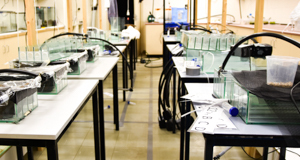 The Freshwater Ecology Laboratory has the capacity for the analysis of macro invertebrate and fish samples, algae and stable isotope samples, as well as a range of habitat characterisation parameters. 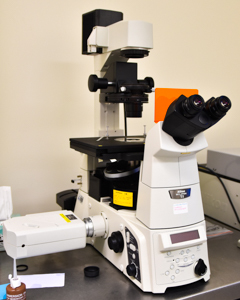 The Laboratory contains a range of Leica microscopes, micro balances mutiprobe meters and data loggers as well as instruments for measuring water quality, algal biomass and chlorophyll concentration. The Glasshouse has recently been upgraded to a state- of- the- art auto grow facility with an ‘on the go’ mobile platform and comprehensive climate controls that enable researchers to cultivate their research in a measurable environment. The Glasshouse facility also contains an in-built alarm system that sends alerts if there are any deviations to set climate measures. 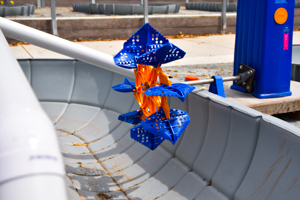 The Glasshouse compound also contains an outdoor experimental system of freshwater tanks, that allows our researchers to examine the natural environment under controlled conditions. 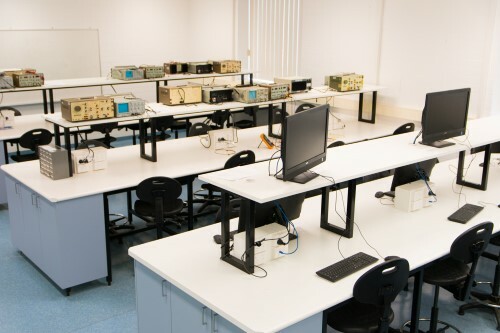 The HCC Lab space provides a state of the art human observation laboratory consisting of an observation space, control room, briefing room, workstations and high-end computing facilities to analyse video, audio and physiological sensor data. This space is designed for interdisciplinary research at the intersection of computer science, engineering, health technology, psychology, sports technology and design. The HCC Lab also features a briefing/debriefing space and a work room with high-end computing facilities to analyse the data. 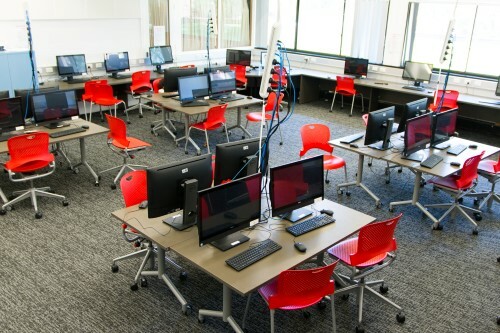 The Faculty's Innovation Lab is our specialist computer lab, specifically created to teach our units in Mobile Technology, Games Programming, and various project work. It is equipped with higher-powered PC'sand specialist software. The Faculty of Science and Technology provides our students with contemporary, digitally enhanced science laboratories that support a range of teaching disciplines in microbiology, chemistry, biochemistry, ecology and the biophysical sciences. 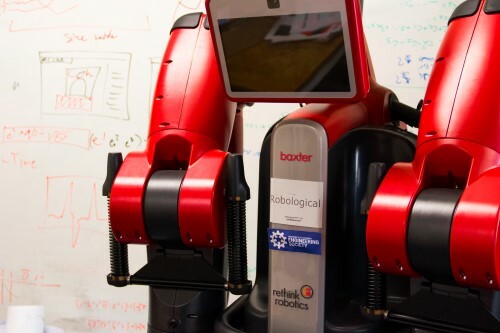 The Robotics workshop is a small, but growing space used for our work in Robotics. It is a space for our small dedicated team of Staff and Students work work on various projects in Robotics and Robot-Human interaction. The Faculty and Institute maintains a fleet of fully equipped four wheel drive vehicles, boats, remote controlled electrofishing vessel and trailers to support our researchers throughout their time in the field during research collection periods. The Institute has recently rejuvenated its vehicle fleet, acquiring two brand new fit for purpose vehicles. These vehicles and trailers have the ability to go fully off road and reach remote areas. The Wildlife Genetics Laboratory allows researchers to undertake high quality DNA research through the use of separate pre- and post- PCR space equipped for DNA sequencing, genotyping, cloning, and state-of-the-art cytogenetic work.